Isaac Newton – who lived from December 25th, 1642, to March 20th, 1727 – was an English scientist, mathematician, and “natural philosopher”. In his time, he played a vital role in the Scientific Revolution, helping to advance the fields of physics, astronomy, mathematics and the natural sciences. From this, he established a legacy that would dominate the sciences for the next three centuries. In fact, the term “Newtonian” came to be used by subsequent generations to describe bodies of knowledge that owed their existence to his theories. 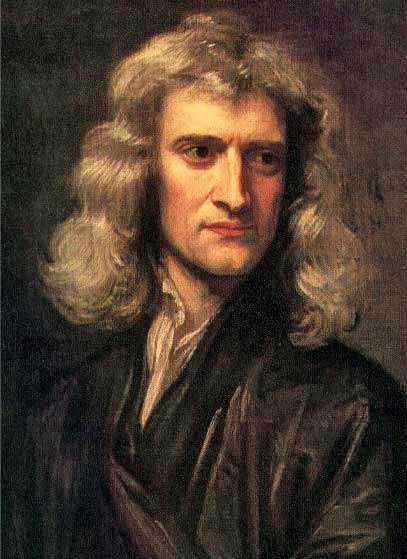 And because of his extensive contributions, Sir Isaac Newton is regarded as one of the most influential scholars in the history of science. But what exactly did he discover? For starters, his magnum opus – Philosophiæ Naturalis Principia Mathematica (“Mathematical Principles of Natural Philosophy”), which was first published in 1687 – laid the foundations for classical mechanics. In it, he formulated his Three Laws of Motion, which were derived from Johann Kepler’s Laws of Planetary Motion and his own mathematical description of gravity. The first law, known as the “law of inertia”, states that: “An object at rest will remain at rest unless acted on by an unbalanced force. An object in motion continues in motion with the same speed and in the same direction unless acted upon by an unbalanced force.” The second law states that acceleration is produced when a force acts on a mass – ergo, the greater the mass of the object, the greater the force required to accelerate it. The third and final law states that “for every action, there is an equal but opposite reaction”. Newton would go on to use these principles to account for the trajectories of comets, the tides, the precession of the equinoxes, and other astrophysical phenomena. This effectively removed the last doubts about the validity of the heliocentric model of the cosmos which argued that the Sun (not the Earth) was at the center of the planetary system. His work also demonstrated that the motion of objects on Earth and of celestial bodies could be described by the same principles. Though Newton’s inspiration for his theories on gravity are often attributed to the “Apple Incident” – i.e. 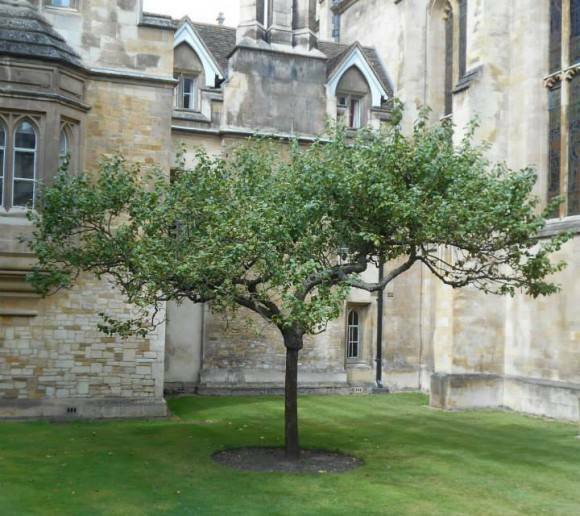 where he watched an apple fall from a tree – the story is considered apocryphal by modern sources who argue that he came to his conclusions over time. However, Newton himself described the incident, and contemporaries of his defend this assertion. Additional contributions include his prediction that the Earth was likely shaped as an “oblate spheroid” – i.e. a sphere that experienced flattening at the poles. This theory would later be vindicated by the measurements of Maupertuis, La Condamine, and others. This in turn helped convince most Continental European scientists of the superiority of Newtonian mechanics over the earlier system of Descartes. 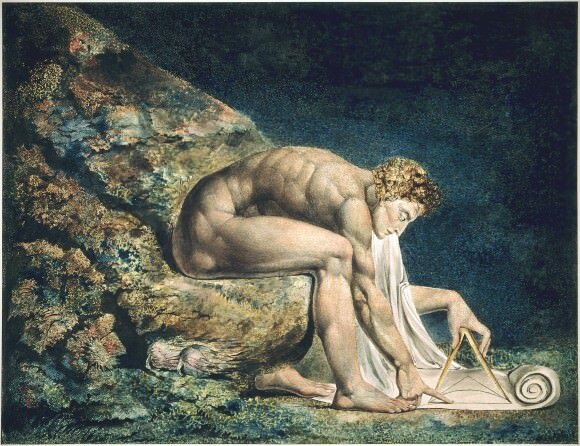 In terms of mathematics, he contributed to the study of power series, generalized the binomial theorem to non-integer exponents, developed Newton’s method for approximating the roots of a function, and classified most of the cubic plane curves. He also shares credit with Gottfried Leibniz for the development of calculus. In 1666, Newton began contributing to the field of optics, first by observing that color was a property of light by measuring it through a prism. From 1670 to 1672, he lectured at the University of Cambridge on optics and investigated the refraction of light, demonstrating that the multicolored spectrum produced by a prism could be recomposed into white light by a lens and a second prism. As a result of his research, he came to theorize that color is the result of objects interacting with already-colored light rather than objects generating the color themselves, which is known as Newton’s theory of color. In addition, he concluded that the lens of any refracting telescope would suffer from the dispersion of light into colors (chromatic aberration). As a proof of the concept, he constructed a telescope using a mirror as the objective to bypass that problem. This was the first known functional reflecting telescope in existence, the design of which is now known as a Newtonian telescope. He also formulated an empirical law of cooling, studied the speed of sound, and introduced the notion of a Newtonian fluid. This term is used to describe any fluid where the viscous stresses arising from its flow, at every point, are linearly proportional to the rate of change of its deformation over time. Beyond his work in mathematics, optics and physics, he also devoted a significant amount of time studying Biblical chronology and alchemy, but most of his work in these areas remained unpublished until long after his death. So what did Isaac Newton discover? Theories that would dominate the fields of science, astronomy, physics and the natural world for centuries to come. His ideas would go on to influence such luminaries as Joseph-Louis Lagrange and Albert Einstein, the latter of whom is the only scientists believed to have left a comparable legacy. We have written many interesting articles about Sir Isaac Newton here at Universe Today. Here’s Who was Sir Isaac Newton?, What did Isaac Newton Invent?, Who Discovered Gravity?, What is Absolute Space?, What is the Gravitational Constant? There are other resources on the internet if you want to learn more about Isaac Newton. This UK site has some great info on his discoveries. You can also check out the PBS website. You can also check out Astronomy Cast. 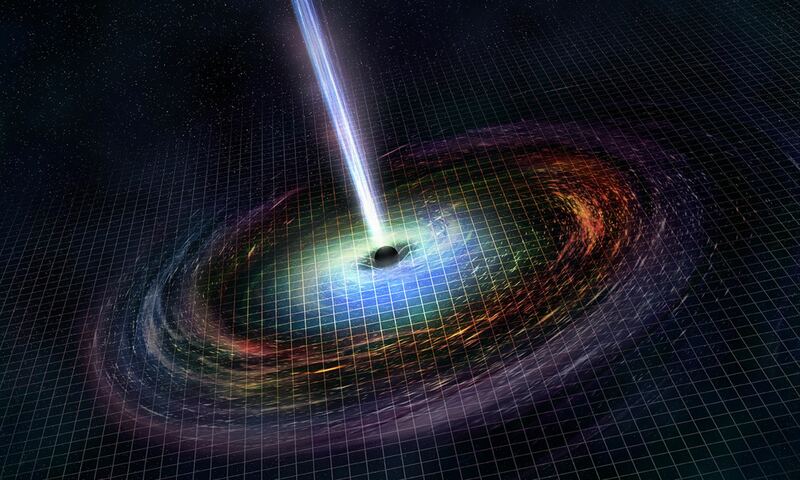 Episode 44 Einstein’s Theory of Relativity is particularly interesting. And there was also his ground-breaking research into sticking pointy things behind his eye. Thank you for this nice compilation of Newton’s discoveries. Btw, a small typo: it’s the “Law of inertia” instead of “interia”. My personal list of favorite scientists also include, beside Newton and Einstein, names such as Rudjer Boskovic (http://en.wikipedia.org/wiki/Roger_Joseph_Boscovich), Nikola Tesla (the guy who invented modern electricity), Charles Darwin, Erwin Schroedinger and Stephen Hawking. Next PostNext Why Doesn’t The Sun Steal The Moon?